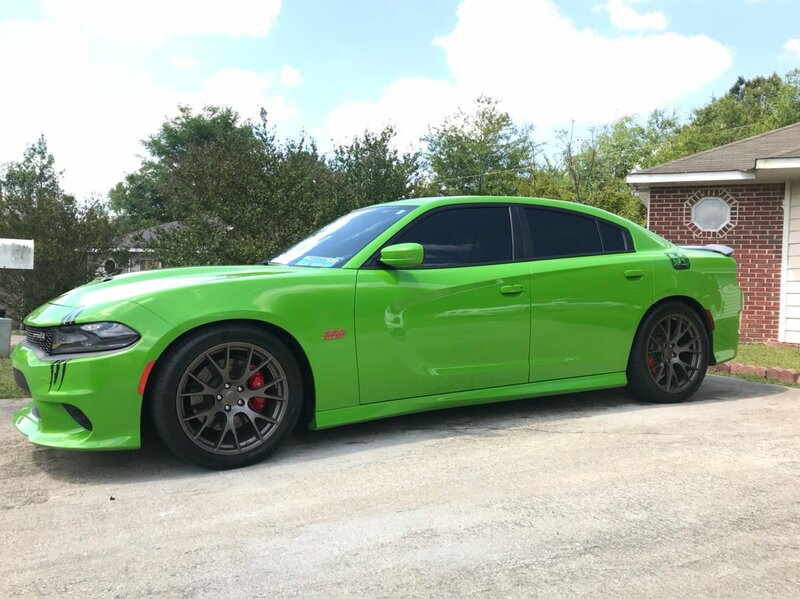 Thread: Show me your tints! Looks like MaxPro & Johnson are my choices around here. Will be getting mine done in a couple weeks once it warms up a bit more. What have your shops done about the dot matrix along the top of your rear windows? I’ve heard tint doesn’t play well in that area. Some shops stop at that line so the tint doesn’t get applied over the dots. Not sure that would look too good. Hey! My guy went right over them no problem... it didn’t give a problem all that much. The biggest problem is the back windows shape. It is curved in 2 directions. So think of it like a contact lens shape. 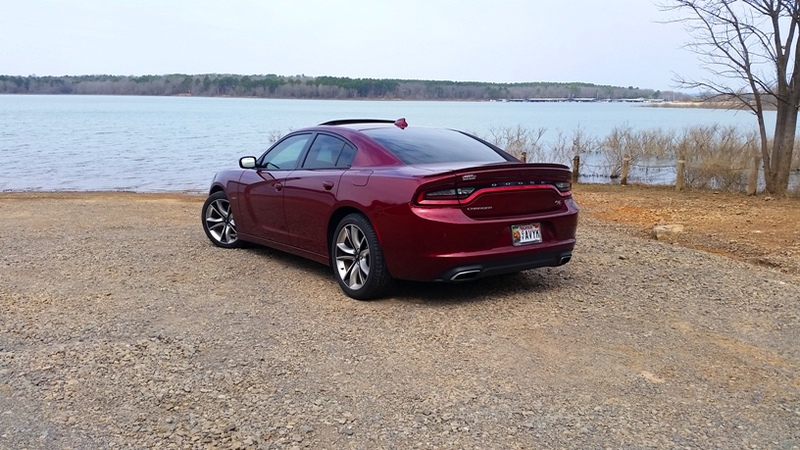 Make sure your installer has experience with the chargers back windows. I hope this helps! Post some pics when complete. I guess I’m a bit confused on the concern with auto dimming? The auto dimmer can be turned off if needed, but I always keep mine on. The auto dimmer adjusts to the light sensitivity it receives. It’s not just an on or off feature. With that being said... it won’t matter what shade you go with, your auto dimming feature will still come into play. Also, I can always see through my back window with the mirror auto dimmer feature on. I hope this helps! Keep us posted on what you decide to go with! Great question. I went 5% rear and 20% on the sides. I don't have issues with the auto dimming at night. 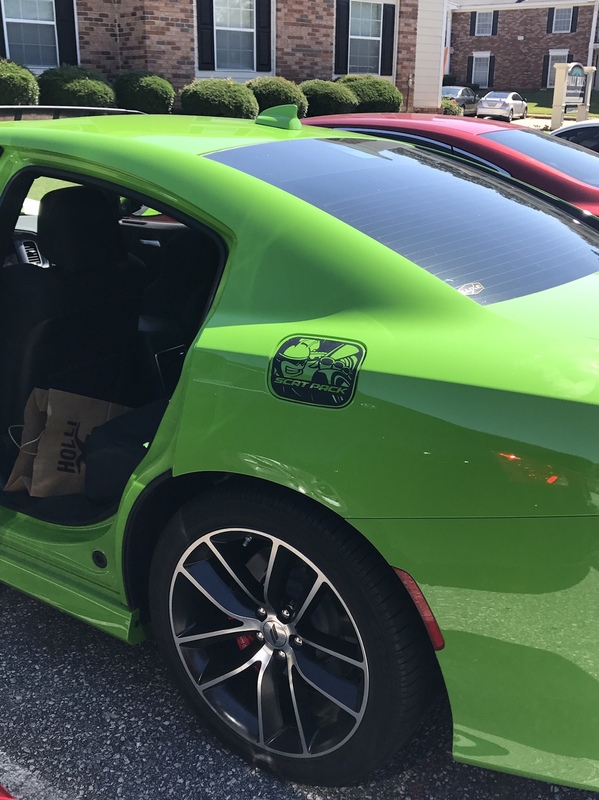 On the 2017 R/T Premium, 20% in the back and 50% on front side windows. 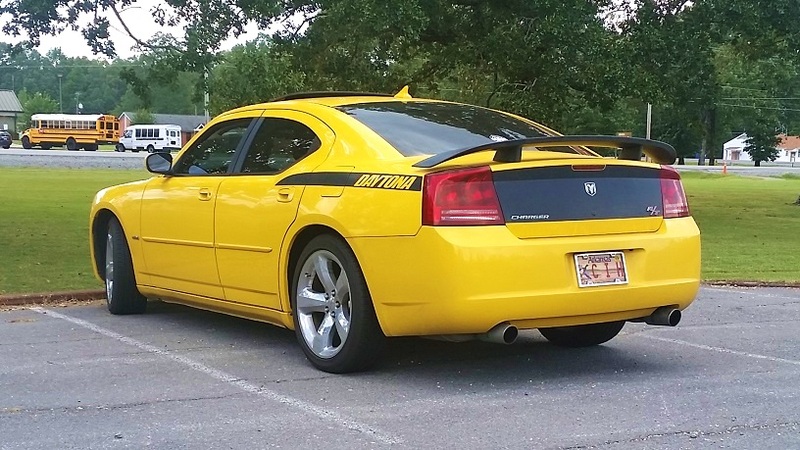 On the 2006 R/T Daytona, 20% on the sides and back. Last edited by HandyCharger; 04-24-2018 at 04:08 PM. I Have 5% On All For Doors And Back Glass. 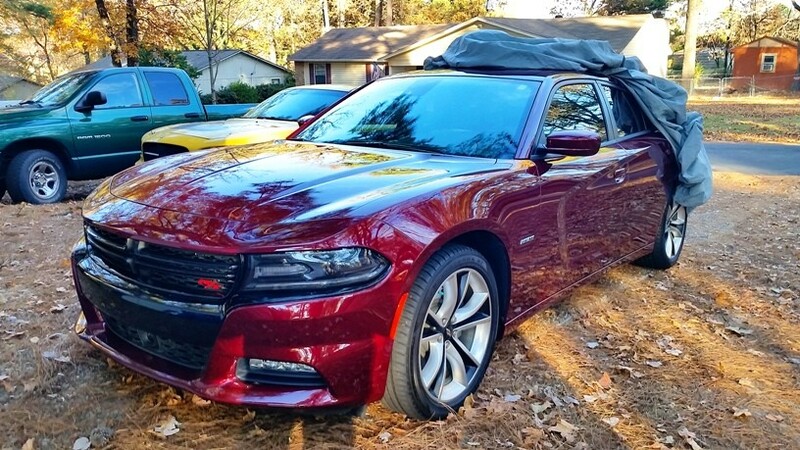 I'm getting mine finally tinted this weekend. That’s what I’m talking about, you aren’t seeing anything into your car lol. Nice ride! What’s on the tank cover? Closer pic? Thanks! Last edited by GreenGoScat392; 04-25-2018 at 01:32 PM.